Earlier this year I made the decision to go for the chop. I cut off my long hair in favour of a short and classy bob. A decision I have made before, as it’s a style that I love. I love my hair when it’s short, and I kept religious appointments with my hairdresser every 5-6 weeks to keep the style looking fresh and well maintained. However I seem to have fallen into the next stage of my style craving, and I’m now ready to grow my hair back. (I do this every time – short/long/short/long etc.) Bring me back the long locks! The only problem is that my hair is really, really thin. It always has been. It also means that the in-between stage – the stage between short and long hair, really annoys me because I feel like I can’t do much with my hair. So this time as I prepared to grow out my tresses, I decided I needed a bit of extra help. The reason I love having short hair is because when it’s shorter it feels thicker and fuller. 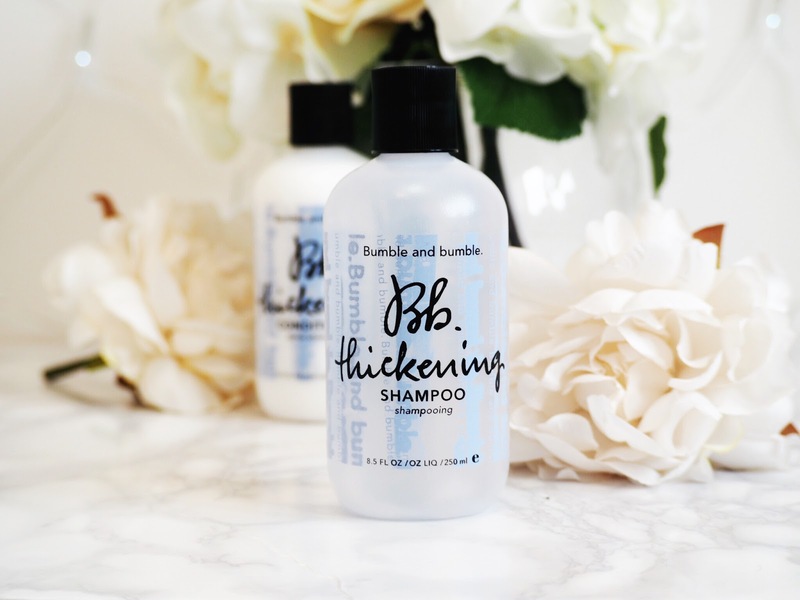 I’m not lucky enough to actually retain thickness and fullness when it’s longer, so some help was much needed, and I decided that hair favourite Bumble and Bumble were the trusted hair advisers to help me. They have a whole range of products in their Thickening collection, from sprays, creams and a mousse. 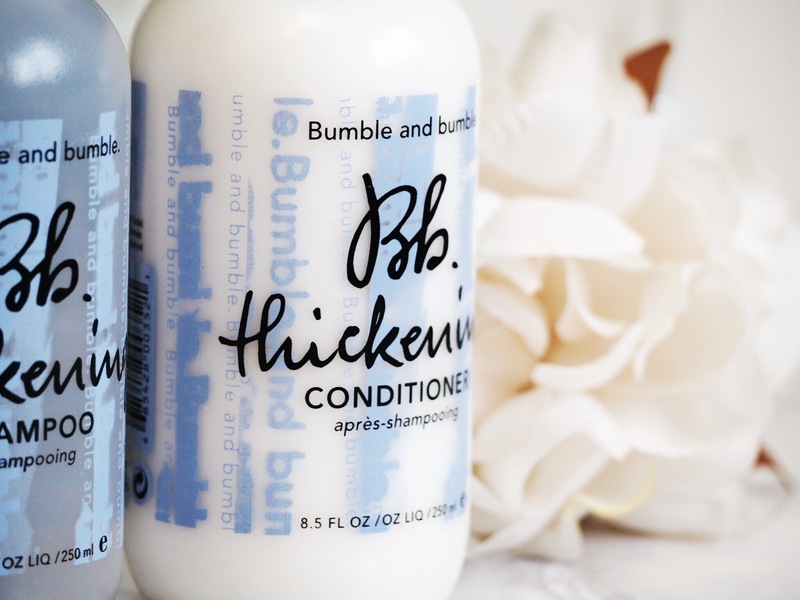 But for me I wanted to start at the very beginning with their Thickening Shampoo and Conditioner. When I previously say I’ve got fine hair, I’ve got the type that looks limp at the mere mention of too much hair product – so anything I use needs to be lightweight. It can’t weigh my hair down because fine hair has a tendency to look greasy with too much weight and product. 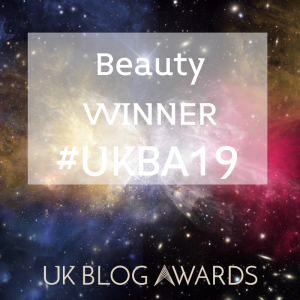 So I was very relieved to find that using this duo doesn’t weigh my hair down at all, in fact it’s kept my hair feeling quite light and bouncy – which adds to the fullness and thicker appearance that I found started to appear after only a few uses. I’ve used the same Shampoo and Conditioner for absolutely ages, occasionally trying other brands in-between, but always resorting back to my trusty old favourite. So for me, trying a new brand of shampoo always needs a bit of time for my hair to adjust. Kind of like washing out the build up of the other brand and replacing with the new. So it took 3-5 days of washing (I wash my hair daily) for my locks to adjust. When they did, my fine hair wasn’t magically triple the thickness (hair extension style), but it felt fuller, thicker and had more volume on the top. Which is exactly what I was hoping for. 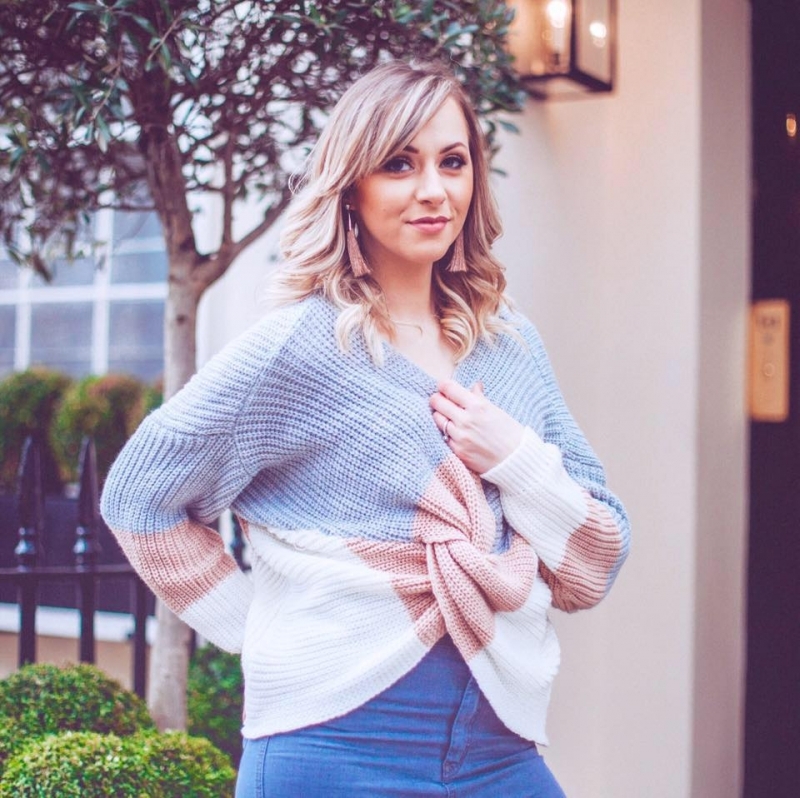 It made styling more fun and meant that as I’ve been growing out the bob, I’ve felt like I’m retaining more of the fullness than I’ve ever been able to keep hold of when growing out shorter styles previously. It’s made me think I might finally be able to maintain the look of thicker hair, even as I move away from a thicker cut (the bob) to a longer style. And that’s not something I’ve been able to do before. 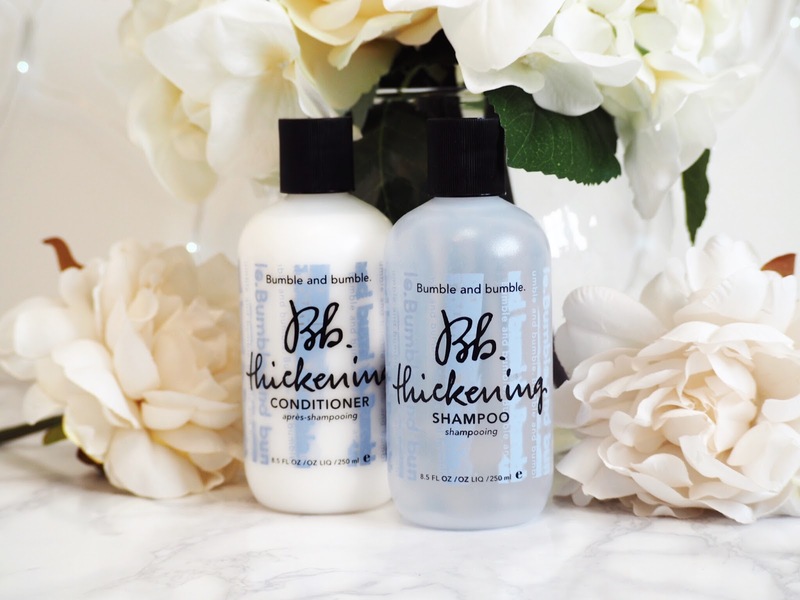 Being a Bumble and Bumble product means you can expect quality and performance, and these don’t disappoint at all. They smell like a salon quality treatment – which, of course they are. And it shows that if they can be used in top level salons, then they can be trusted at home too. 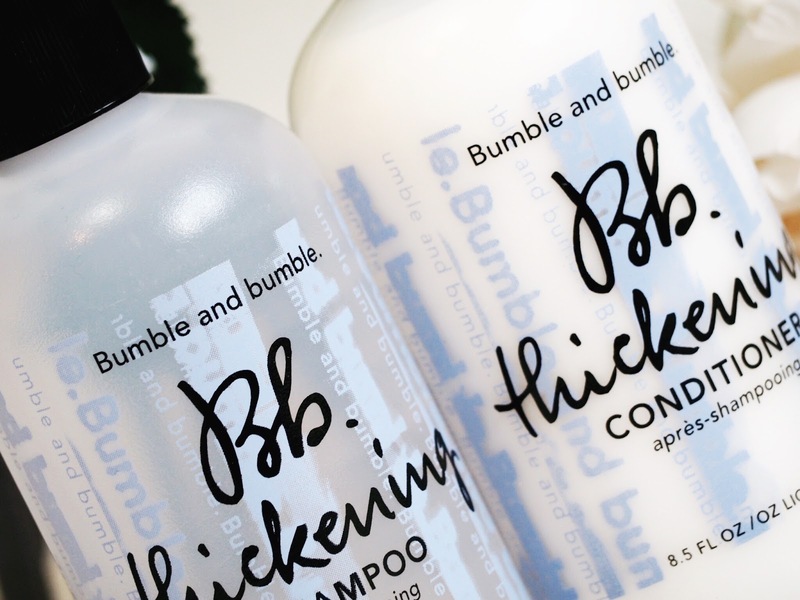 The Thickening Shampoo is £19 for 250ml and the Thickening Conditioner is £21 for 250ml. They’ve lasted me nearly two months because you don’t need a huge amount per use. 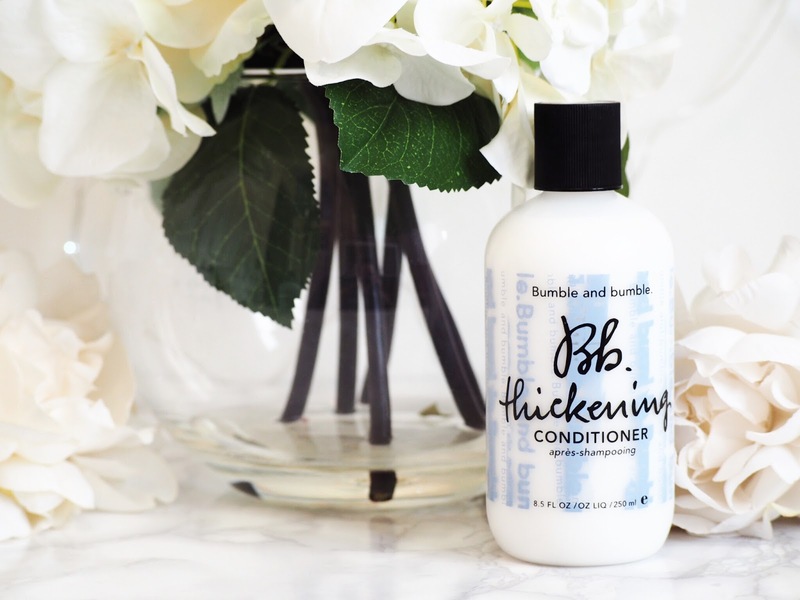 So although more expensive than drugstore shampoo and conditioner, if you’re looking for the top level fullness that you leave the salon with, then these are essentials. I’ve not used another thickening shampoo and conditioner duo that’s actually created long lasting thickness, so these may just well be replacing my lifetime trusty brand from now on.